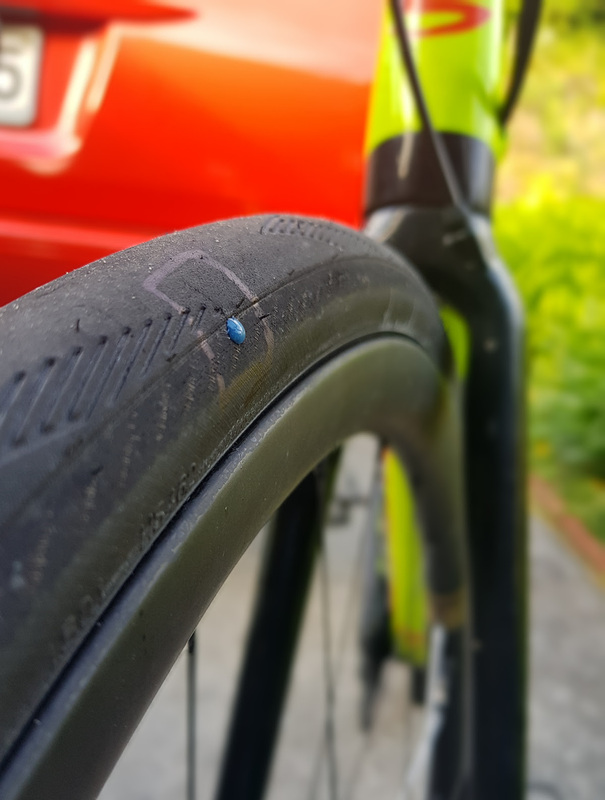 I punctured a Schwalbe Pro One tubeless tyre on a tame section of gravel last weekend and it got me thinking about Road Tubeless. I’ve got a long and storied history with Road Tubeless dating back to the very first Road Tubeless tyres the 23mm Hutchinson Fusion 3 from around 2009. I’ve tried a handful of tyres over the years however I’ve always reverted back to my favorite non-tubeless tyre the Continental GP4000s as I found no decrease in the number of punctures, a worse ride quality, a more sluggish feel, and worse wet-weather grip with tubeless. The 28mm Schwalbe Pro Ones that I’ve had on a pair of Maker SLD wheels for the past few months were the first Road Tubeless tyre that I’ve liked. They feel half decent to ride, they’re reasonably supple, their wet weather performance is pretty good, and they feel pretty quick. I was disappointed and surprised when a small sidewall nick wouldn’t seal and made me DNF a race. So where is Road Tubeless at? The current crop of 30-40mm tubeless tyres for gravel bikes is amazing. For gravel bikes and mountain bikes I think tubeless is a no-brainer so everything discussed here is for pavement-based bikes. Personally I think 28mm is the tipping point for tubeless. Anything narrower and you won’t get any advantages from going tubeless, and anything wider and you’re almost guaranteed to get the benefits of a more supple ride and fewer punctures. 28mm seems to have all the pros AND all of the cons. 28mm tyres are a squeeze on most rim-brake frames and brakes so for rim brakes we’re optimising rims around 25mm – 28mm tyres. 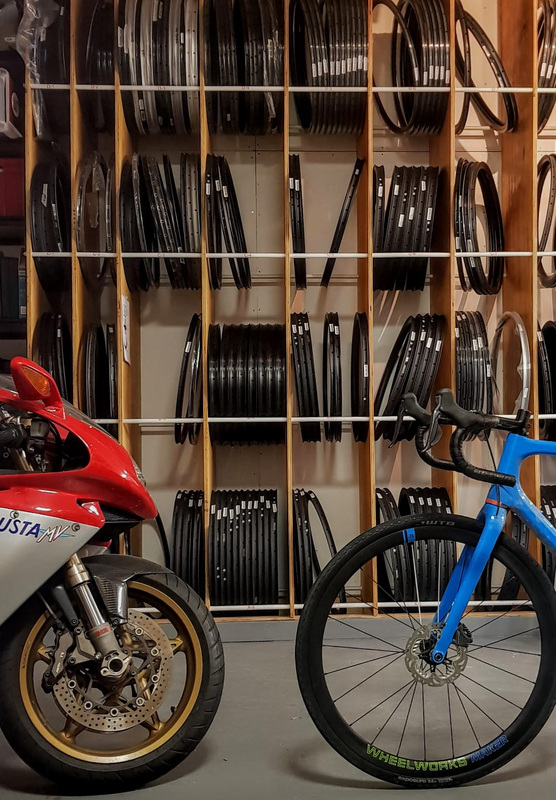 Most modern disc brake frames will take wider tyres so our disc brake rims are optimised around 28mm tyres while keeping the ability to run 25mm without any problems. All of our carbon rims are tubeless-ready but can also be used with regular tyres and tubes. Hooked beads are important. Hookless beads widen tyres out very slightly and give the marketing department something to yell about however they massively reduce safety. Enve, for example, doesn’t permit Specialized tubeless-ready tyres on their tubeless-ready hookless wheels as they risk blow-off. Continental doesn’t permit their new tubeless offerings on hookless bead rims. Not all tubeless road is created equal. Sealant makes a different. Stan’s is the industry standard and generally has the best results in lab tests but Finish Line have a new sealant which doesn’t dry out and looks really promising. 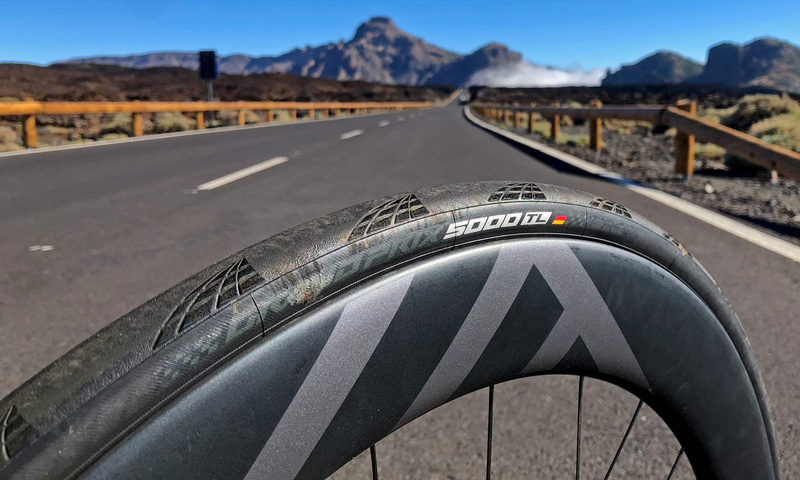 Continental have just released a tubeless GP5000s tyre and I can’t wait to get my hands on a pair. Continental are definitely slow react to the tubeless trend but based on how amazing their GP4000s non-tubeless tyre is I think the entire bike world has high expectations for the GP5000s. They’re due shortly-ish. What is your tubeless experience? What tyres and sealant are working for you? Would you like to see us offering tyre bundles with tubeless tyres pre-fitted and ready to go? 1. Always been tubeless on both my WW wheelsets: schwalbe ones on the bolts (25mm then 28mm) and a variety on the maker cx. Never punctured the bolts to my knowledge… Lost pressure on the front maker cx in a race by getting my weighting wrong and smashing into a step. Pumped up again in the pits first time with a bit of new sealant. 2. Tyre bundle and fitting is a nice idea but what I’d really love is a tyre-dismounting service! Every tyre I’ve taken off my maker cx’s (schwalbe G1 and X1 and WTB Resolution) has been impossible to the point of eventually cutting the tyre itself up with a fishing knife. Not ideal if the tyre is not end-of-life… They seem to cement themselves into the rim hook and become one with the carbon. No problems with the alloy bolts though.